Established in 1963, is the UK Branch of SAIT Group. It is recognised as a quality abrasive manufacturer supplying products to industrial professionals for all applications relating to the processing of metal, wood, stone and building materials, together with a complete range of products suitable for body shop and car accident repair. Together with such an extensive range on offer, there is a strong structure of territory managers that work with companies ensuring, by using the right product for the process, that the requirements and goals are achieved and, most importantly, in a cost effective safe way. 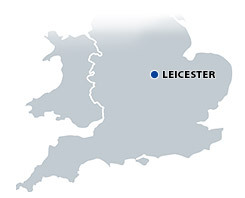 With more and more clients insisting on using SAIT products, in 2013 manufacturing facilities and warehousing were relocated to larger premises in Leicester, just off Junction 21 of the M1. The site covers 22800 sqt: continual ongoing investment will see 2 new production machines being installed in early 2019, bucking the trend of many manufacturing companies sourcing products from overseas. Established in 1953, SAIT ABRASIVI S.p.A. is today one of the most important abrasive manufacturers in the world producing both bonded and coated abrasives for the industrial world-wide market. Being a member of both FEPA (European Federation of Abrasive Producers), based in France, as well as OSA (Organization for the Safety of Abrasives), based in Germany, ensures that SAIT products are manufactured consistently to the very highest industry standards. 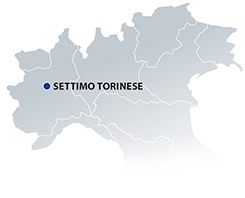 Our world-wide headquarters in Collegno on the outskirts of Turin, in Italy, also incorporates the main manufacturing facility for our bonded abrasives (resin bonded elastic wheel range). This production facility currently covers 27,000 m2 from which we are able to produce diameters ranging from 75 mm to 600 mm, flat and depressed centre in a multitude of widths. 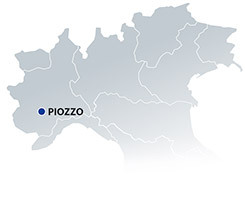 Coated abrasives (paper, cloth and fibre backed) are produced in our production facility in Piozzo (CN), which is 100 km from Turin, and covers an area of 25,000 m2. All products, bonded from Collegno (TO) and coated from Piozzo (CN), are then transported to our international warehouse and distribution centre in Settimo T.se (TO). This site covers 8.500 m2 and is where the management and stocking of our products range takes place. All deliveries are prepared here, whether for Italian customers (more than 20.000) or for international customers (more than 250), for delivery by land, sea or air: there are “NO LIMITS” in order to give our customers the best possible service.